Today, we find this black on black E91 M-Sport with the proper transmission for the low price of only $18k. 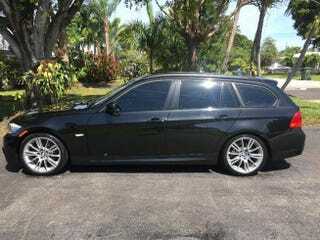 While this auction is a year old, the market seems to still command mid-20s for a clean manual M-Sport wagon. So at 18k, this example with only 44k is a serious NP, if everything checks out. Hat tip to Liam Farrell for actually finding the listing.